The number of games in which one plays a goat is disappointingly small, whereas other animals (fish, dogs, cats, monkeys etc.) seem to have no problem landing a starring role. Thankfully Ian Stocker a.k.a. MagicalTimeBean has added to the small pool of goat-em-ups with a game that is outstanding for more than just its hero's taxonomy. 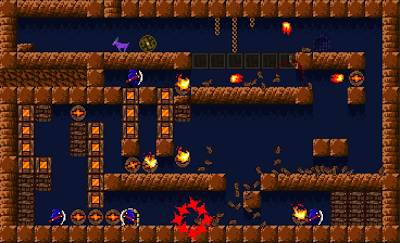 Essentially, Escape Goat is an arcade platform puzzler with 50+ single-screen levels to be tackled. 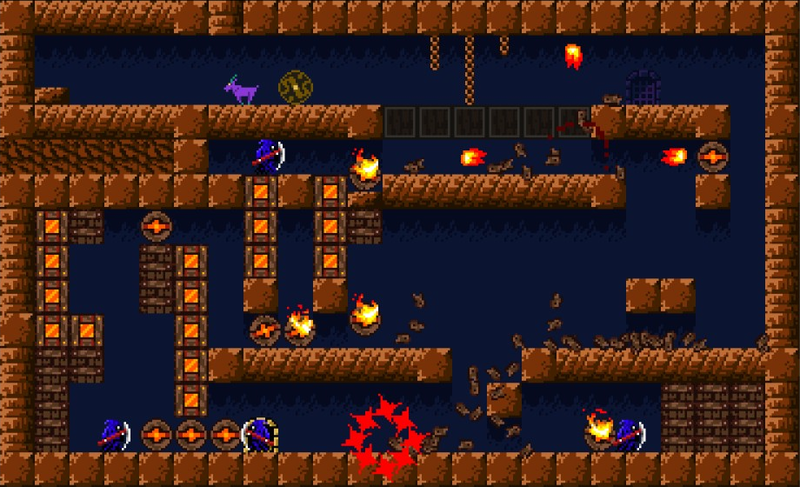 Each level's goal is simple – get the keys and get to the exit. Switches need to be pressed, and baddies avoided – straight forward enough, although the actions of switches can dramatically change the layout of blocks upon a screen – so trial and error are the order of the day here. The virtually instant restarts after death or by pressing 'back', encourage this approach. 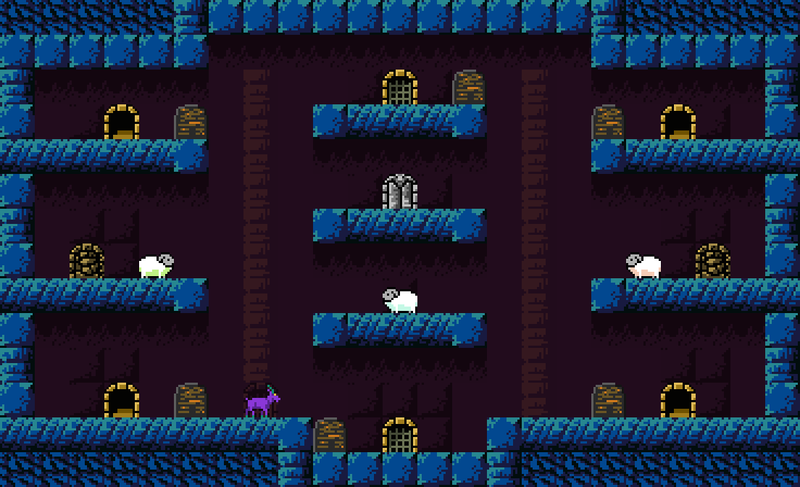 Whilst your goat-hero is a nimble fellow – possessing tight controls, double jumps and a block-moving charge – he would not be able to complete his quest without the assistance of his mouse familiar. This rodent friend can be sent scurrying in a direction, up walls, over ceilings and through tiny gaps to press buttons that would be otherwise inaccessible. Also some levels feature a magic hat pick-up which enable your goat and mouse to exchange places. As we all know, magic hats improve any game ten-fold. 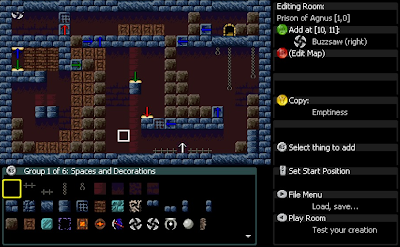 This disparate abilities allow for some quite complex levels to be presented to the player, most of which will give up their secrets without too much experimentation for seasoned gamers, although the structure of the game – with sets of levels for a hub – means that if the player is stuck they can always leave the level they are on, and try a new path, to return to the stubborn one later. 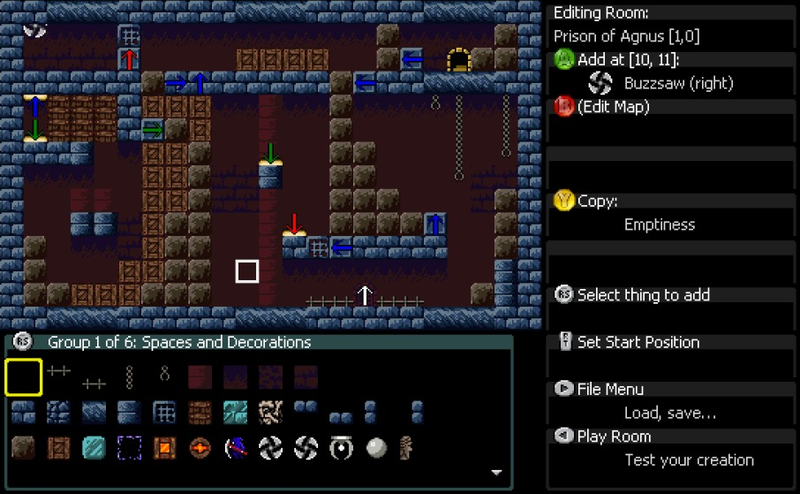 Completion of the game is actually achievable without finishing every level, although completists will definitely want to beat each puzzle set – if only to read the surreal dialogue/narrative hints that the sheep at the end of each set of levels give to the hero. Did I mention as well as escaping, your goat is rescuing sheep? Plot is not the selling point of this game. 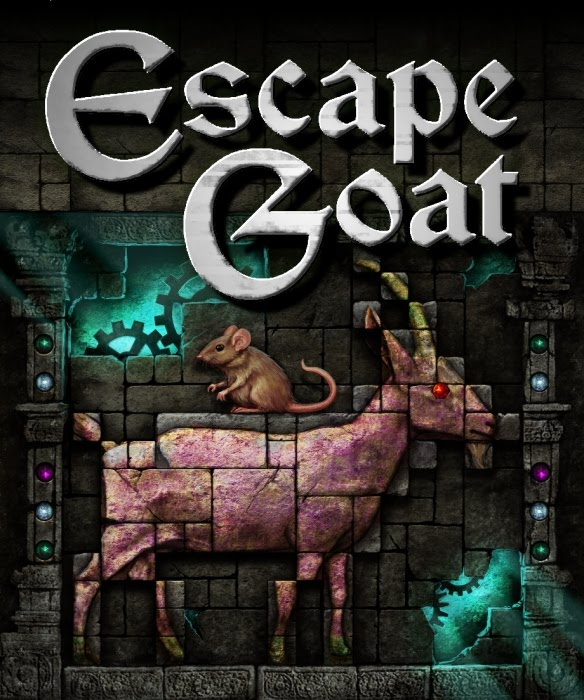 Even if there were nothing else to say about Escape Goat, this would be a glowing review, but the whole package is wrapped in a delightful retro aesthetic that adds a deliciously sweet icing to the retro flavoured cake. 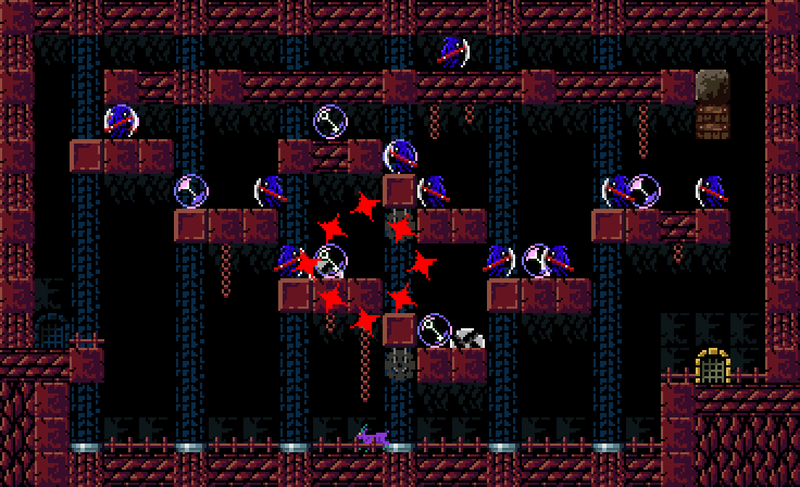 Graphics are low-res pixel art reminiscent of a NES in full flow, and the music is an excellent new score of 80's sounding synth tunes. (Ian is an experienced composer for videogames, and it shows here). The score is also available as a download for those moments when the tunes are lodged in the brain hours/days/weeks after your goat finally escapes. An integrated level designer is included – which is a nice inclusion, although the lack of ability to share levels limit the usefulness. It is fun to see what can be done, and illustrative of the effort that must have been taken within the level design for the game itself. The Incredible Machine (and to a lesser degree Little Big Planet) spring to mind here, with a robust physics engine to play with. 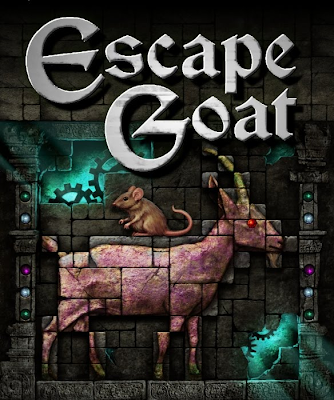 Escape Goat does pretty much everything right, and at 240 Microsoft points is well priced – even though the game can be beaten in an afternoon and length could be seen as an issue, there is a nice surprise for completion (which could add a time attack element to subsequent replays). Generally the game doesn’t outstay its welcome, and new ideas and devices are regularly introduced, so the player does not feel like ideas have been stretched too thin (as could so easily have been the case), thus pacing and progression feels natural and each new set of levels is exciting to approach. 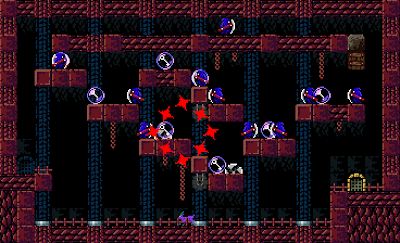 Escape Goat's platform puzzle gameplay somewhat recalls Solomon’s Key (but without the punishing difficulty), and actually does tax both the brain and the player’s platforming skills in places. Verbal abuse and controller throwing will occur, as well as triumphant whooping and facepalm realisations - excellent combinations that deserve to do well on the XBOX indie scene. Overall, this is a charming and engaging title, and I personally am hopeful that this game can do for Goats what Jeff Minter did for Llamas. The trial and full versions of Escape Goat can be downloaded/bought here (from the XBOX Games Marketplace).